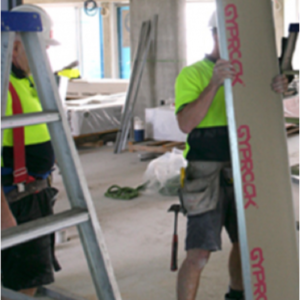 Gyprock Shaft Liner panels are 25mm thick sheets with a glass fibre reinforced gypsum core encased in a heavy duty linerboard. These panels are fire grade with exceptional acoustic insulation properties and are used in Gyprock commercial wall and ceiling systems where a high fire rating or high acoustic performance is specified. 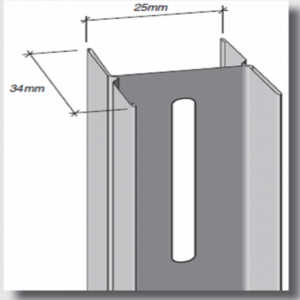 Party Wall Steel H-Stud The Gyprock Party Wall System incorporates 25mm H-Studs to support the SHAFT LINER PANELS at all vertical joints. 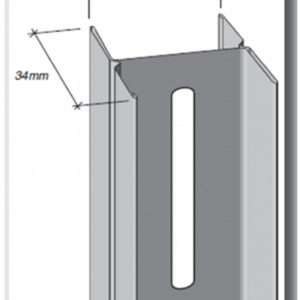 It is made from 0.55mm BMT G275 galvanised steel. 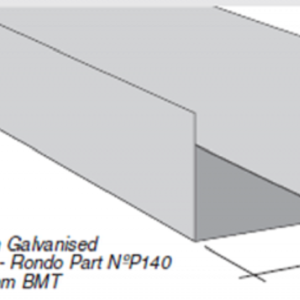 Steel Track-Party Wall Steel track (Rondo NºP140) is used in the following applications: • Support of SHAFT LINER PANELS at the top and the bottom of the wall. • Support of SHAFT LINER PANELS at the ends of the wall. • Used back to back at all horizontal joints in SHAFT LINER PANELS. 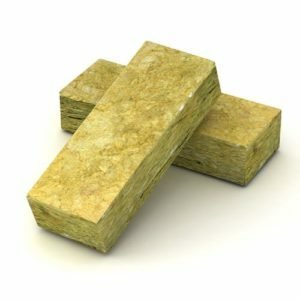 Bradford Party Wall Batts This high temperature, rockwool based insulation is specifically designed to meet the fire protection requirements for inter-tenancy walls in multi residential applications. 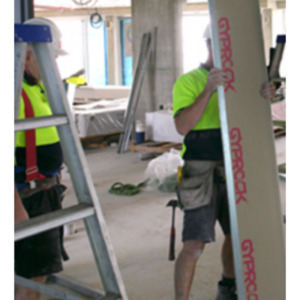 Gyprock™ Party Wall System is designed to provide a separating wall between dwellings that are side-by-side such as town houses. Gyprock™ Party Wall comprises a double frame wall with a fire barrier between the frames. The principle of the fire performance is the central 25mm fire barrier that provides the primary fire resistance. NEW! Gyprock™ Party Wall System is designed to provide a separating wall between dwellings that are side-by-side such as town houses. Gyprock™ Party Wall comprises a double frame wall with a fire barrier between the frames. The principle of the fire performance is the central 25mm fire barrier that provides the primary fire resistance. 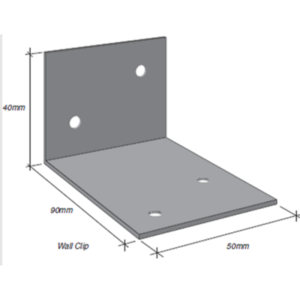 Aluminium Wall Clip-Party Wall: Used to support the 25mm H-Stud, and are critical in the fire performance of systems with a single 25mm Shaft Liner. They are manufactured from 1.6mm aluminium.